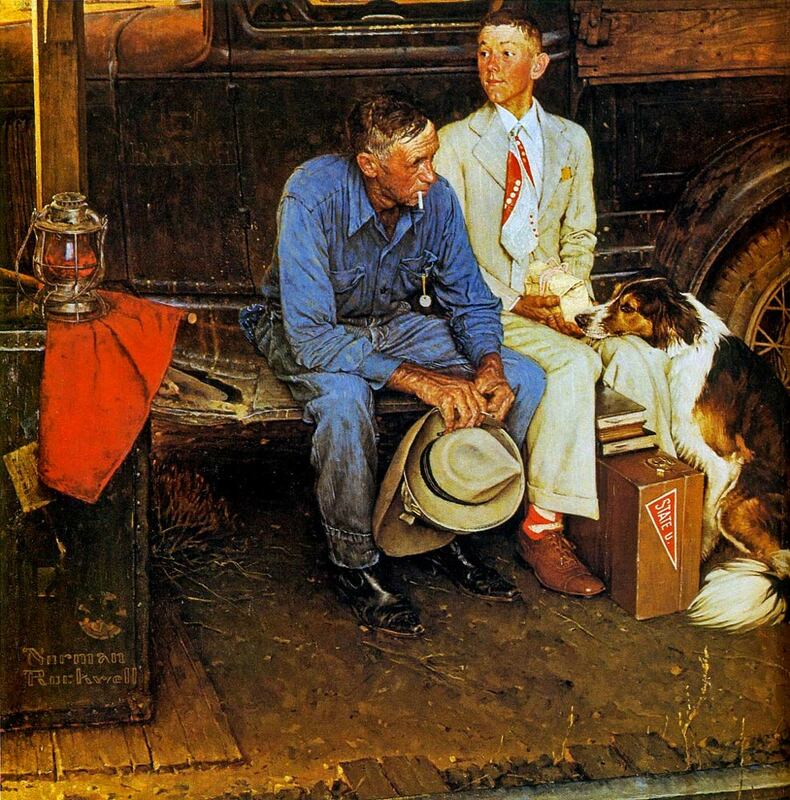 a nostalgia piece about fathers and sons, often serving as a prompt for a what-I-did-on-my-summer-vacation essay. But there is something creepy and sinister working through the text. As i think about it, i cant settle on right model to get at what im feeling. Is it a wholesome on the surface with the skeeviness kept hidden? Or maybe a center-margin sort of thing, that is, while the body of the work is about safety and eternity and the glorious summers of youth, at the margins is encroaching destruction and death.